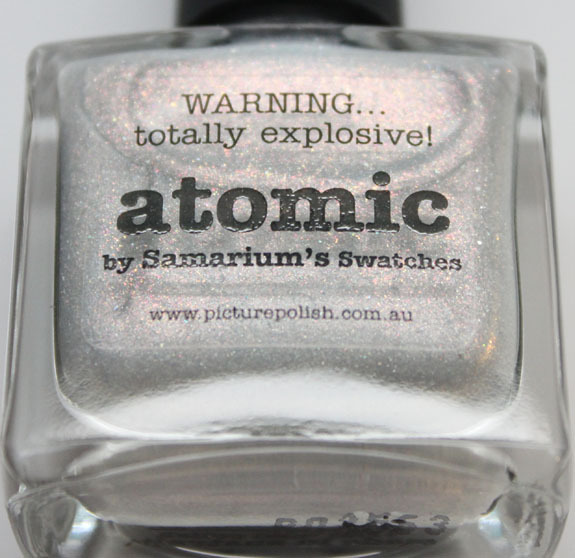 piCture pOlish Atomic by Samarium’s Swatches is a somewhat complex silvery white glittery sparkly shade. 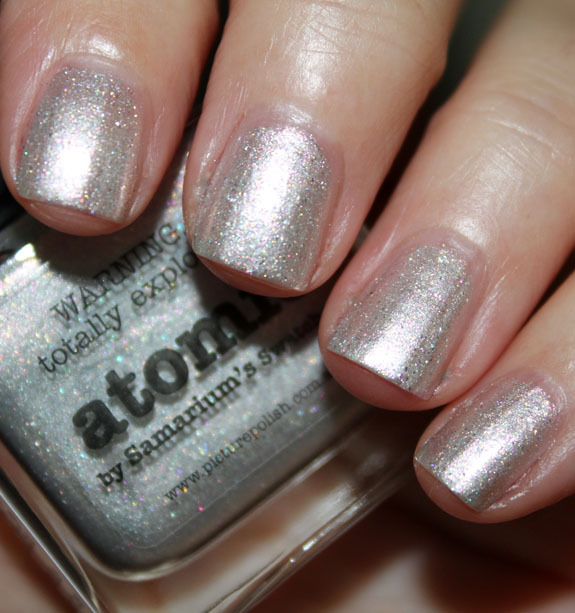 This shade was created by the lovely Sarah from the blog Samarium’s Swatches, of course. She was inspired by the element Samarium, which is a hard silvery colored metal. When it’s exposed to air it oxidizes into a grey/gold powder, which helps explain the shimmer in the polish. So scientific! The great thing about this shade is it can be worn on its own or layered over many other shades to create gorgeous effects! Sarah shows you a bunch of layering options on her initial post about the shade here. 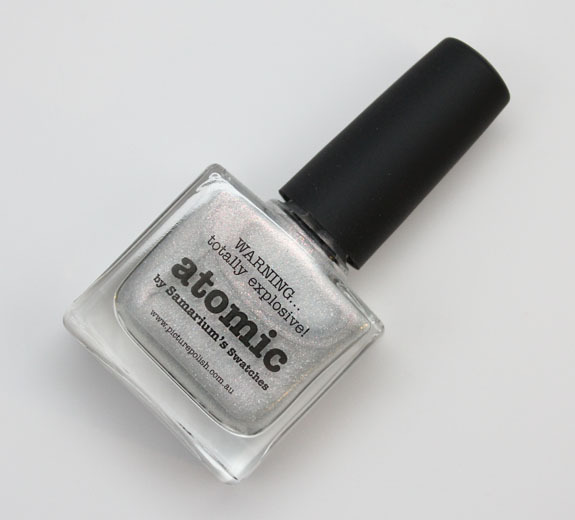 Atomic has a silvery white base color, but the sparkle within is really pretty and multi-colored. You see flecks of gold, pink, blue and green in it. It changes in various lighting and the flakes are irregular shapes, which are my favorite kind! It does take a good three thin coats to get it covered over my nail line, but that’s typical for me anyway, so no big deal. Availability: piCture pOlish, also other distributors listed here. Whatddya think of Atomic? I really encourage you to check out her layering swatches I linked to above because that’s when it REALLY shines! Obsessive Compulsive Cosmetics Lip Tar Stained Gloss Giveaway!